Utilities communicate timely customer information through text alerts, automated messaging, and interactive voice response. 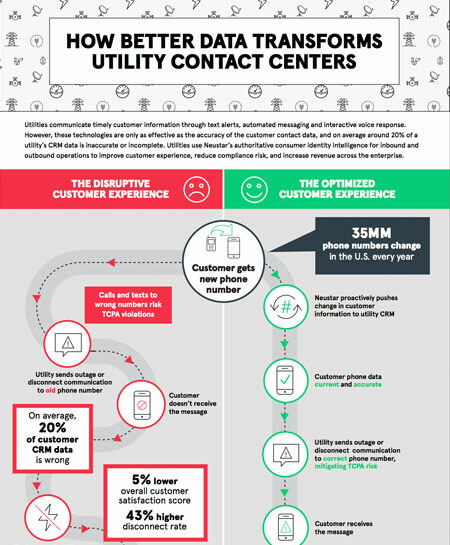 However, these technologies are only as effective as the accuracy of the customer contact data, and on average around 20% of a utility's CRM data is inaccurate or incomplete. Utilities use Neustar's authoritative consumer identity intelligence for inbound and outbound operations to improve customer experience, reduce compliance risk, and increase revenue across the enterprise.